The DLA-RS6710U is JVC's premier D-ILA home theater projector for 2014. Native contrast ratio has been increased to 150,000:1 thanks to new D-ILA devices, new wire grid polarizer and a new "Clear Black" technology. Now with an Intelligent Lens Aperture, the dynamic contrast is a staggering 1.5 million to 1, the industry's highest. 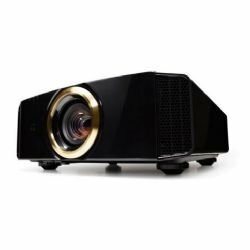 Images are projected with 4K precision thanks to JVC's upgraded "e-shift3" technology which now accepts native 4K input signals. This translates to the most dramatic master-quality images ever produced on a JVC projector.